The cold weather is here! The temperature drop and shorter days can make us feel like flying south or hibernating. Depending on our perspective winter can be a harsh trial to endure or it can be an invitation to increase our resiliency. I’ve fled the cold weather at various times in my life, mainly because I didn’t know how to adjust my diet and lifestyle. After learning some basic rules of thumb my whole perspective of winter has changed. Taking care of my body allows me to feel more in tune with nature. So now instead of viewing winter as a harsh obstacle I see it as an opportunity to slow down and increase my energy reserves. Bone broth is a fairly recent addition to my culinary arsenal. I learned about bone broth when I was working in New York City. I loved going to Chinatown and one of my favorite places to eat was a little hole-in-the-wall restaurant that makes hand-pulled noodle soups. 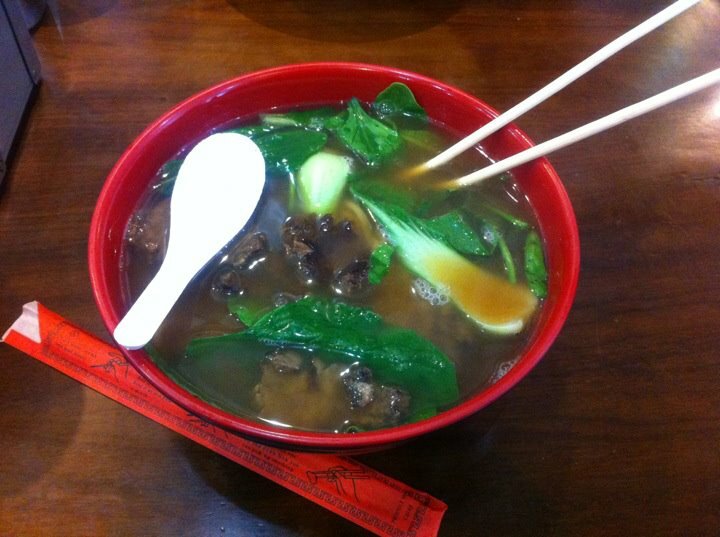 I’ve been hooked on that flavorful and nutrient-rich broth ever since. It’s very easy to make bone broth. Save leftover bones (I use organic chicken bones), place them in a pot with filtered water and add a splash of vinegar to aid in mineral extraction. You can also add a bay leaf or some vegetable scraps for flavor. Onion peels give bone broth a warm yellow color. Bring the broth to a boil and then simmer for a minimum of 4 hours (or up to 24 hours). The longer you simmer the more nutrient dense it will be so add water as needed. 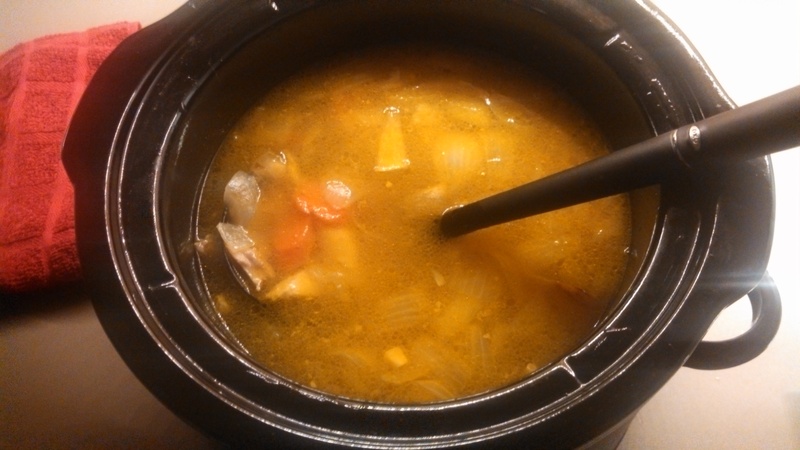 You can use a crock pot or cook it on low on the stove. Either way your house will smell fantastic! Some people try to keep their broth clear but it’s okay if it turns cloudy. Strain the cooled broth through a fine-mesh sieve to remove the particulate. Store the strained broth in glass mason jars in the fridge where it will keep for about a week. Bone broth is a great addition to soups, stews and any recipe that calls for stock. You could also try making your own version of the latest health trend in NYC – a steaming cup of bone broth. What’s your favorite way to use bone broth? Feel free to leave a comment in the box below.